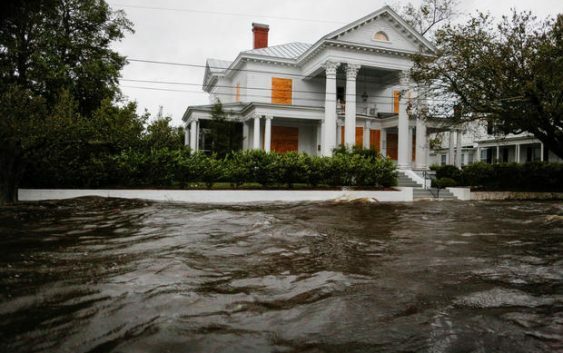 The riverfront city of New Bern, North Carolina, experienced some of the worst flooding from now-Tropical Storm Florence, where a massive 10-foot storm surge inundated streets and turned houses into islands, reports CBS News’ Kris Van Cleave. More than 360 people were rescued from in the city from the rising waters. The city said in a Facebook post early Saturday morning that more than 100 people are still waiting for help. Water from the Neuse river floods houses during the passing of Hurricane Florence in the town of New Bern, North Carolina, U.S., September 14, 2018.